“Perhaps the most resplendent figure in the human race,” the late author-critic-lecturer Thomas Craven called Leonardo. Certainly it is an amazing catalogue of accomplishments that Leonardo himself sets forth with such modest assurance in this straightforward letter of application. He might correctly have added that he was a geologist, a botanist, a biologist and a master of many other arts and sciences. 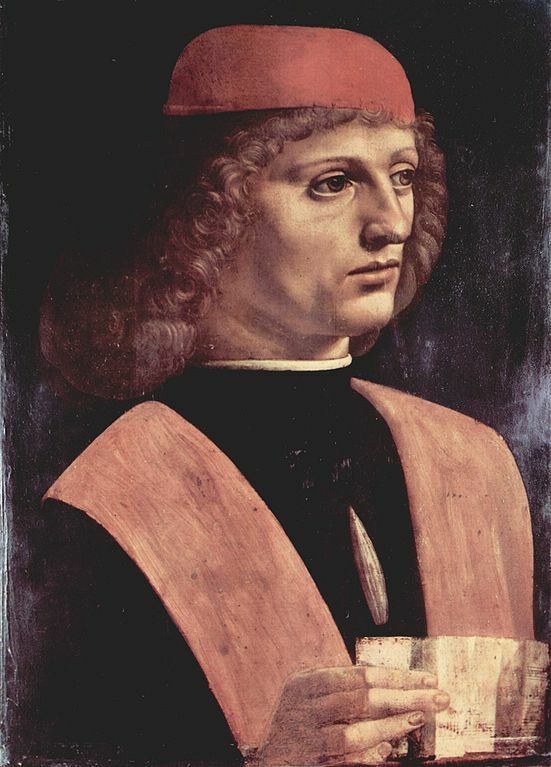 At age 30, boxed in and searching for new challenges, Leonardo quit his native Florence, decadent now under the Medici, for Milan, then flourishing under the rule of Ludovico Sforza. It was to him that Leonardo addresses this 1482 letter of employment. Having, most illustrious lord, seen and considered the experiments of all those who pose as masters in the art of inventing instruments of war, and finding that their inventions differ in no way from those in common use, I am emboldened, without prejudice to anyone, to solicit an appointment of acquaintancing your Excellency with certain of my secrets. 1. I can construct bridges which are very light and strong and very portable, with which to pursue and defeat the enemy; and others more solid, which resist fire or assault, yet are easily removed and placed in position; and I can also burn and destroy those of the enemy. 2. In case of a siege I can cut off water from the trenches and make pontoons and scaling ladders and other similar contrivances. 3. If by reason of the elevation or the strength of its position a place cannot be bombarded, I can demolish every fortress if its foundations have not been set on stone. A short animated/live action video explaining Leonardo’s self supporting bridge and how to assemble it. Posted at YouTube by YTEngineer. This and other toy models of Leonardo’s inventions are available at the website Leonardo da Vinci’s Inventions. 4. I can also make a kind of cannon which is light and easy of transport, with which to hurl small stones like hail, and of which the smoke causes great terror to the enemy, so that they suffer heavy loss and confusion. 5. I can noiselessly construct to any prescribed point subterranean passages either straight or winding, passing if necessary underneath trenches or a river. 6. I can make armored wagons carrying artillery, which shall break through the most serried ranks of the enemy, and so open a safe passage for his infantry. 7. If occasion should arise, I can construct cannon and mortars and light ordnance in shape both ornamental and useful and different from those in common use. 8. When it is impossible to use cannon I can supply in their stead catapults, mangonels, trabocchi and other instruments of admirable efficiency not in general use. In short, as the occasion requires I can supply infinite means of attack and defense. 9. And if the fight should take place upon the sea I can construct many engines most suitable either for attack or defense and ships which can resist the first of the heaviest cannon, and powders or weapons. 10. In time of peace, I believe that I can give you as complete satisfaction as anyone else in the construction of buildings both public and private, and in conducting water from one place to another. 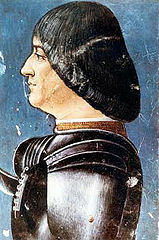 Moreover, I would undertake the commission of the bronze horse, which shall endue with immortal glory and eternal honor the auspicious memory of your father and of the illustrious house of Sforza. And if any of the aforesaid things should seem to anyone impossible or impracticable, I offer myself as ready to make trail of them in your park or in whatever place shall please your Excellency, to whom I commend myself with all possible humility. P.S. He got the job, and kept it for 16 years, until the French invaded the city and captured his employer. Leonardo da Vinci died in France, prematurely old, at the age of 67, in 1519. Though hailed by the later centuries as “a universal genius,” he felt that his “greatest schemes in science remained unrealized” and that “his question for perfection in art” was unsuccessful.